Co-producing is in our DNA. 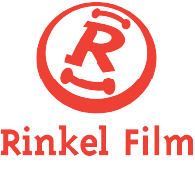 Backed up by a strong Netherlands Film Fund we can offer selective funding and a 30% cash rebate (Netherlands Film Production Incentive). The Netherlands offers award-winning multilingual cast and crews, excellent post facilities and a great variety of locations, all at the lowest rates of Western Europe. In the past, this has demonstrated to be a successful formula proven by the eleven international co-productions Rinkel Film has completed till date. The Netherlands Film Production Incentive is the Dutch cash rebate system launched in May 2014 by the Netherlands Film Fund. With a budget of 20 million euro per year, the Incentive supports national as well as international co-productions and is intended to promote the development of film talent in the Netherlands and to stimulate the diversity, quality and distribution of film productions. The cash rebate is 30% of the Dutch spend for film productions in the Netherlands, under the condition that the film is a feature length (animation) film with at least a 1 million euro budget or at least 250.000 euro if it’s a documentary. In order to qualify for the cash rebate, a point system will be used to decide if enough elements of the film are in fact Dutch. More information on the cash rebate can be found on the website of the Dutch Film Fund.